Bevan started my teaching career in 1994. Before moving to China, he taught in Johannesburg South Africa as well as Dumfries in Scotland. Bevan have worked for Nord Anglia Education for many years, having joined the team at the Pudong Campus in December 2007 as Music Coordinator. During his time at the school he has been privileged to work with many students from all over the world in a range of different capacities. 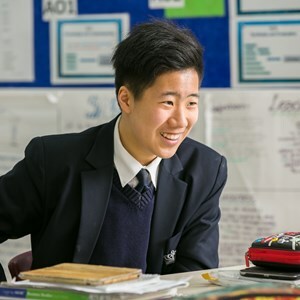 Bevan’s roles at our school have included secondary music coordinator, extended essay coordinator, IB form tutor, Extended essay supervisor, TOK coordinator, CAS advisor and IB Diploma Programme coordinator. Bevan has recently been given the fantastic opportunity of taking care of the IB Academy and believes it is a privilege to head up our well established IB programme. Bevan is a passionate IB practitioner. 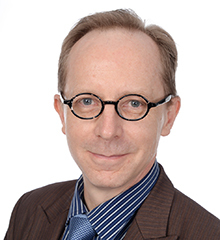 In addition to his roles at the school he is a member of the IB Asia Pacific Educator Network as a professional development workshop leader for Theory of Knowledge, IB Music, CAS, Approaches to Learning and Extended Essay. He has recently expanded his role to include that of visiting team member. This role would entail evaluation of candidate schools as well as established schools going through the five year review process. In addition to his IB role, Bevan is a member of NAIS Pudong’s music department teaching all levels from Key Stage 3 through to IGCSE and IB music. He furthermore directs the IB Choir and teaches Theory of Knowledge. The interdisciplinary, conceptual and inquiry based approach as outline by the IB paradigm now informs his professional practice at all levels and in all subject areas. Not only has Bevan’s involvement with the IB transformed his professional approach; he believes it has also shaped his ethical and personal values as he endeavours to cultivate the learner profile qualities in all spheres of his life. Bevan is very excited about extending his teaching and learning experience to include our fantastic Julliard curriculum. Bevan is a member of the Shanghai Baroque Orchestra and is the custodian of a Flemish Single manual harpsichord. Historical music is an area in which he remains very interested and preforming with the orchestra as a continuo player is another important part of his life. Bevan enjoys the cultural offerings in Shanghai and regularly attends concerts in a range of genres and styles from symphony orchestras, to chamber music as well as Chinese traditional music. As much as he enjoys Shanghai, he particularly enjoys his time spent during Christmas holidays on the Garden Route in South Africa where it is one of his great loves to spend time walking in the rainforests of Knysna.